The Antoine Courtois AC420BH Legend Series Hagmann F-Attachment Trombone offers amazing performance and sound for the player looking for a symphonic trombone. The AC420BH Legend features a .547" bore combined with an 8.5" one piece bell that provides excellent projection and response. The open wrap F-Attachment with the Rene Hagmann valve features a responsive, free-blowing design plus an adjustable thumb trigger for player comfort and mini ball linkage for smooth action. 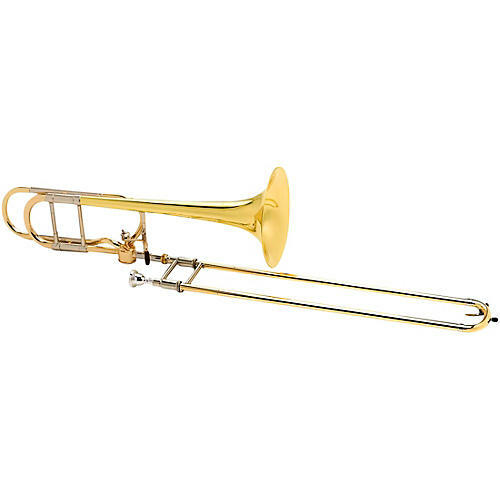 The Courtois AC420BH Legend Hagmann F-Attachment trombone includes a lightweight contoured case and mouthpiece and is available in lacquer finish with a choice of yellow or rose brass bell.